Another one of my favorite movies of all time is Memoirs of a Geisha starring Michelle Yeoh, Ziyi Zhang, Gong Li and Youki Kudoh. Set in the 1930's-40's, Memoires of a Geisha is the story of a young girl, Chiyo who is taken from her family and sold to a Geisha house. The most successful Geisha, Hatsumomo lives in the house with Chiyo and is determined to make her life miserable. When Chiyo has a chance meeting with a handsome businessman, she becomes determined to find a way to his heart. Colleen Atwood designed costumes for this visual masterpiece, winning the film an Oscar, Satellite Award and BAFTA Award for costume design. 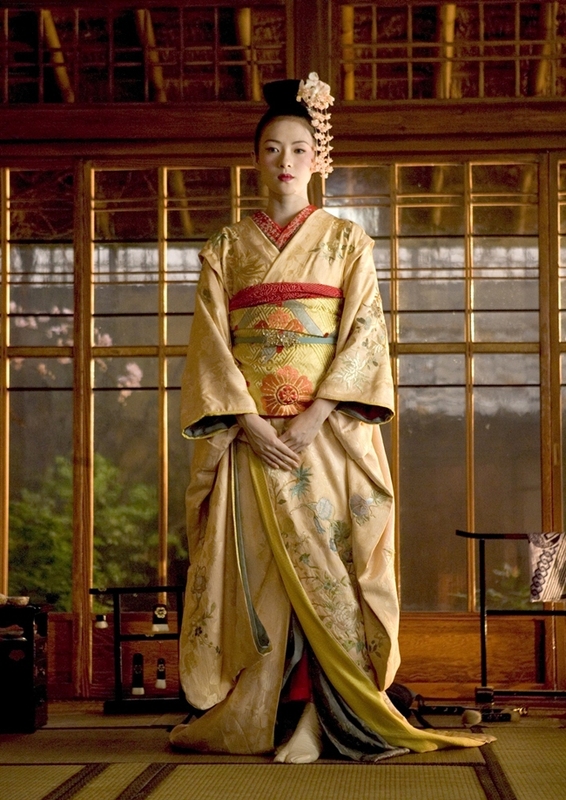 Memoirs of a Geisha accurately portrays the near death of the "Flower and Willow World" of the Geisha during WWII. Like the rest of the world, Japan's economy was destroyed by the war, leaving no money to pay for Geisha entertainment at parties. It was also during the war that the Geisha became known to the Western civilization as prostitutes instead of artists. 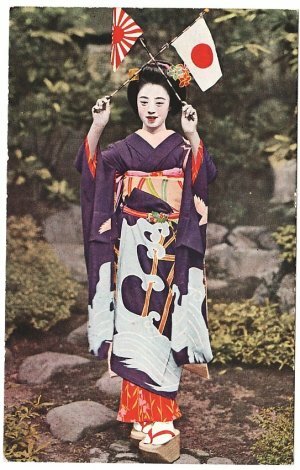 Due to desperate times, Japanese girls often dressed as Geisha and sold themselves to American soldiers. The Geisha occupation nearly died out completely. Today, it is estimated that there are 1,000-2,000 trained Geisha in Japan, far from the 80,000 registered Geisha in the 1920's. Many soldiers brought the gifts of kimono home to their families after the war and there are still many surviving vintage kimono and obi today. You can also find many gorgeous vintage kimono on ebay. Always be prepared for large shipping prices since many come direct from Japan. Stay tuned for pics of my little vintage kimono collection and handmade kanzashi (Japanese hair ornaments). I have the book and I love the movie.